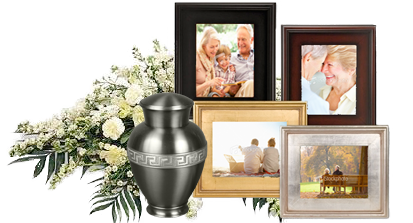 Malloy Esposito Crematory & Funeral Home Affordable Direct Cremations & Burials Serving Parma OH. Located just a short distance from Parma, OH. on W 117th street, Malloy Esposito Crematory & Funeral Home has been providing affordable cremations & burials for Parma residents since 1977. We offer Parma residents an affordable alternative to expensive traditional funeral homes by providing direct low cost cremations and funeral services. For over 36 years, Parma area residents, families, and veterans have come to Malloy for fair, simple, compassionate and inexpensive cremations and burials. Parma OH is Cleveland's largest subburb and the seventh largest city in Ohio with a population of 81,601 according to the 2010 census. Orginally referred to as the "Greenbriar" it was renamed "Parma" due to the efforts of a Dr. David Long who upon returning from Italy was reminded of Parma, Italy and convinced the settlement's residents that it deserved a better name then "Greenbriar". Parma's rise to the seventh largest city in ohio began after World War II when it underwent termendous growth. Fulled by the move to the subburbs, by 1960 the population had grown to 82,845. In 1956 Parma was the fastest growing city in the United States. Today, Parma's population has once again reached 81,601, though it remains one of the Cleveland-area's top three desitinations young adults are increasingly choosing as a place to live, along with Lakewood and downtown Cleveland and was recently recognized by Businessweek as one of the best places to raise kids in Ohio. 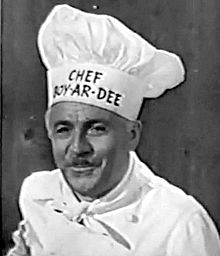 PARMA, Ohio — Hector Boiardi, founder of Chef Boy-ar-dee Foods, one of the first packaged Italian food businesses in the nation, died Friday night after a short illness. He was 87 years old. ''Everyone is proud of his own family name but sacrifices were necessary for progress,'' Mr. Boiardi said at the time. Born in Piacenza, Italy, Mr. Boiardi worked as an apprentice chef in a hotel in his hometown starting at the age of 11. He came to the United States in 1917 and worked at hotels in New York and Greenbrier, W.Va., where he directed the catering at the reception for President Woodrow Wilson's second marriage. Mr. Boiardi later moved to Cleveland, where he opened a restaurant. So popular was the food at the restaurant that customers kept asking for portions of pasta, sauce and cheese to take home. ''Hector said it was then that he decided it was popular enough that it would sell,'' said David P. Jaicks, president of American Home Foods. By 1928, he had built a small processing plant, and 10 years later his products were in national distribution. He served as a consultant to American Home Foods until 1978. Benjamin Orr (September 8, 1947 – October 3, 2000) 53 Bassist for the "Cars"
Aside from the string of hits he enjoyed as a member of The Cars during the 1980s, Benjamin Orr, who has died aged 53, earned himself a fragment of rock'n'roll immortality as the vocalist on the group's Drive, the poignant ballad used to devastating effect over news footage of starving Ethiopians during the 1985 Live Aid telecast. Orr was born Benjamin Orzechowski in Cleveland, Ohio. It was there in the late 60s that he met Ric Ocasek, a musician and college dropout. Orr was working as a session musician and producer at a local studio. Previously, he fronted the house band of the TV rock show Upbeat, and was leader of a local group, The Grasshoppers. That group split when some members were drafted to Vietnam, though not before Orr had earned a reputation as a versatile musician who could sing or play drums, bass and guitar. Orr and the gangling Ocasek began collaborating in an assortment of bands. In 1972, they were part of the folk trio Milkwood, and released an album on Paramount featuring future Cars keyboardist Greg Hawkes. But it wasn't until 1976 that Orr and Ocasek formed The Cars, bringing in ex-Modern Lovers drummer David Robinson and Hawkes. The lineup was completed by guitarist Elliot Easton, who had also played with Orr and Ocasek in the Boston-based Cap'n Swing. As The Cars took shape, the first rumblings of punk were being heard around Boston. Local punkistas gravitated to the city's Rat Club, where early performances by The Cars demonstrated that they were miles ahead of the competition in terms of professionalism and musicality. Elektra waved a chequebook at them in 1978, and promptly sent them into the studio with producer Roy Thomas. Their eponymous debut album was recorded in a fortnight and released that same year. While superficially conforming to what Americans like to call "New Wave", complete with a sheen of technological hauteur and an aura of pop-art cool, the album bristled with catchy pop songs, mostly by Ocasek. An early demo of Just What I Needed had already been a favourite on Boston radio station WBCN, and now became the group's debut Top 30 hit. It was followed into the Top 50 by Good Times Roll and My Best Friend's Girl. In 1979, Rolling Stone readers voted The Cars best new band, while their million-selling debut album was such a strong performer that its follow-up, Candy-O, was delayed for several months, then promptly sold 1m copies in eight weeks. The band drew a crowd of 500,000 to New York's Central Park, and their third album, 1980's Panorama, was another platinum-seller. In 1982, Orr began working on his own album, though it wouldn't emerge for four years. Meanwhile, The Cars bought Intermedia Studios in Boston, which they rechristened Syncro Sound. It was here that they recorded parts of their fourth million-seller, 1982's Shake It Up. Heartbeat City, released in 1984, spawned another batch of hit singles including Drive. Following its Live Aid exposure, the record was re-promoted and went into the charts for the second time. The group donated their royalties to the Band Aid Trust. The Cars had begun to lose momentum, though Orr showed he could function successfully on his own with his album The Lace (1986). This gave him a Top 40 hit with Stay The Night. In 1987, Door To Door became The Cars' last, and least, album, with Ocasek now committed to a solo career and the others happy to follow suit. Orr took a lengthy sabbatical from the rock business. In 1994, while the other Cars reunited for rehearsals, Orr debuted his new band - called simply Orr. Subsequently he moved from Vermont to Atlanta, and joined a band of rock veterans called Big People. His marriage ended in divorce: he leaves a son.